Ralph Waldo Emerson once said, “Do not go where the path may lead, go instead where there is no path and leave a trail.” This is how I home-school my two children. The majority of children in the United States of America attend some form of organized schooling either at public school, private school or a charter school. I graduated from a public school, my husband attended a private school. Both of our exposure to art came from the art classes our school provided. Neither sets of our parents enrolled us in an after school art program or exposed us to art on a personal level. Too often I find that parents rely on the system to teach and inspire our children. I believe that as parents, we are responsible for exposing our children to the arts while adding meaning to these experiences. Art is an essential component of education. All children benefit from opportunities to create. During these difficult economic times, arts programs are the first to be sacrificed in public schools. I desire for my girls to be cultured. I want them exposed to the arts at a young age. I believe the benefits of fostering a love and appreciation of the arts is immeasurable. Because my husband and I have chosen to home-school our children, we take full accountability and responsibility for our children’s education. I cannot sit back and hope that someone else will teach or expose my children to the arts. I take action and get the job done myself. In the month of August I created art lessons on famous pop artist Roy Lichtenstein and surrealist artist René Magritte. My goal as an art teacher is to make art education fun. I provided the opportunity for my children to learn about these famous artists by putting themselves in the shoes of these artists. I created hands-on art projects that are exciting and convey the characteristics of these artists. The excitement that I observe and the high degree of information they retain while studying artists prove that young children do get it and are quite capable of appreciating art at a young age! The feedback I hear from people that have seen the art projects I create for my kids and the masterpieces they make is positive and flattering. Many people have said to me that they think I am so creative and don’t know how I do it, and that they would never be able to do that for their children because they don’t have a creative bone in their body. I say hogwash! Any parent can do what I do, and here’s how: First, you need to take the time to do it; trust me the time is truly rewarding. Spending quality time with your children is time well spent. Carve out time to think about which genre of art or which artist in particular you want to expose your child to. After you decide on an artist, head to the library and check out books on the artist. Sit down with your child and go through the books together. I look at each of the artist’s work closely and come up with art projects that are age appropriate for my children. 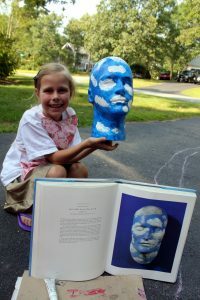 When we studied René Magritte, I purchased two male Styrofoam mannequin heads from Amazon at $3.99 each, blue and white acrylic paint and foam roller paint brushes. One fine August day, I set up a drop cloth in my driveway, put paint smocks on my girls, showed them Magritte’s “The Future of Statues” and had them recreate his masterpiece. The project was simple, cheap and oh so much fun… and by the way their art was magnificent! Prior to having my children do their actual art projects on the artists that we study, I always read to them about who these artists were. I teach them on a very basic, simple level who these people were, what challenges they faced and any obstacles or events that helped shape them as an artist. I always start off every art lesson by saying, “What do we know about this artist?” I’ve trained my girls to answer right away whether that person is a man or woman. Any child can observe the artist’s gender, that step alone will boost your child’s self confidence that they are capable of gaining an understanding who this person is. After we establish the gender of the artist I talk about where the person is from. We look at a map and/or globe and find where they were born, then find where my girls were born to develop a level of familiarity with any similarities or differences in the backgrounds the artists may share or not share, for that matter, with my children. Next you’ll want to identify any major life events that happened to the artists that helped shape him or her. You don’t need to go into every detail but find something that your child may find appealing. For example, when I educated my girls about Magritte, I explained that he put familiar objects in unexpected places. I told them that when he was a little boy a hot-air balloon crashed onto the roof of his house. The balloonist had to carry the hot-air balloon through the Magritte’s window and carry it down the stairway. That event had a major impact on René Magritte. The unexpected scene shaped him as an artist. My girls liked the hot air balloon story, it stuck with them. When we study an artist, I always decorate our kitchen table the night before with library books about the artists and any other items that have a connection to the artist. 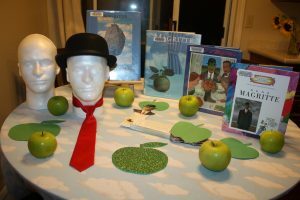 For Magritte I put green apples on the breakfast table, decorated one of the Styrofoam heads with a red tie and black bowler hat, which is what Magritte paints in his “Son of Man. Let go of any inhibitions and have fun with your kids. Like I said, art education can be fun. What is holding you back? What are your experiences teaching your children to appreciate art? How do you do it and how do they respond? 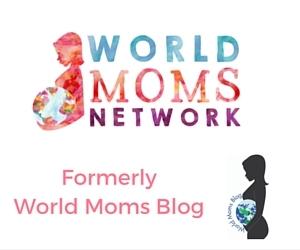 This is an original post to World Moms Blog by Courtney Cappallo of Massachusetts, USA. Courtney can be found homeschooling on her blog, Table of Four. Photo credit to Courtney Cappallo. Courtney Cappallo is a mom of two girls, ages 7 and 4-years-old. She is living her dream life by residing on Cape Cod and being able to stay at home with her two little beauties. Courtney is currently homeschooling both of her daughters for 2nd grade and preschool, respectively. Courtney uses a mix of Classical Education and Montessori. 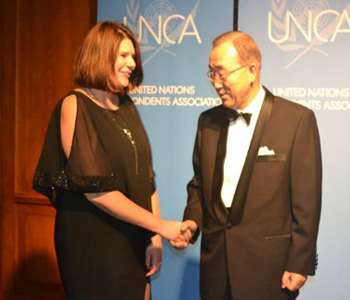 She is a strong believer in teaching to the five senses. Courtney’s homeschooling efforts are unique, as she uses the latest technology of the Smartboard. She is also taking on the task of learning Spanish as a second language, as well as, teaching her two children and husband Spanish. Prior to becoming a homeschooling teacher, Courtney was the Director of Marketing for Simon Property Group, which is the largest U.S. real estate company. Courtney was Simon’s Director of Marketing for the Burlington Mall, Arsenal Mall and Cape Cod Mall. Courtney is a graduate of Villanova University and is proud of her small town roots from growing up in Oxford, Pennsylvania, which only has two traffic lights! She can be found making homeschooling lessons and more at Table of Four ! My children are older now and like you grew up with the school system handling the art education, but I have to say….it was nothing like this. I virtually never post comments on blogs or websites, but I’ve been following your tableof4please.com site for months and I want to commend you. You have a special gift. You’re ideas always seem……..extraordinarily unique. I’ve shared your blog with my girlfriends who have younger kids and they love it too! So many great ideas. Please, please, please don’t stop what you’re doing. You make this look simple. Thank you for sharing the steps you use as a parent. That’s the hardest part. Those girls in the first photo are so cute! Are they biting the apple? Thanks for taking the time to comment. I think I’m biased but I agree with you that the girls are super cute! I love the photos of the art projects you have done and your ideas for getting young children to appreciate art. We are homeschooling preschool and haven’t gotten much past very basic arts and crafts but I’ve heard great things about the Hope Harris music CD – Picasso, That’s Who! (And so can you!). We are planning to use that as a starting point but will also be making use of some of your suggestions! Thanks for sharing this. Thanks for your comment. I went on your website and was quite impressed! Your life seems so adventurous! I look forward to spending more time on your website and learning about your life. I’ll have to look into that CD, sounds like something I’d enjoy, too. Thanks for telling me about it. Teaching art to my girls is my absolutely favorite subject to teach them. I find I am always learning something new right along beside them. I love coming up with the projects and watching them learn. Art really is so much fun! I love the apple pictures!! You always write a great reminder about teaching children about the arts, poetry, artists. And always very inspiring! I bought some used children’s French books, about 4 of a series about the great painters. I will make an effort to incorporate them in my daughter and I’s time together in the afternoon! But, after reading this, I have the itch to go to an art museum! I have a serious itch to go to a museum, too. Wish we lived closer, I’d love to go to one with you! Sounds like your 16 yr. old is very creative! My type of gal!! There is hope for all moms and dad alike. Just think about what inspires you and work from there! You are always an inspiration Courtney! Thank you for sharing the simplicity of teaching art. I expose my young girls to art by taking them to the museums often. But they are definitely not getting this level of information. It inspires me to take it a step further. To read about the artist first and then go look at their work. I also love the idea of recreating what you see. Thank you for being an inspiration as always. Thank you for your comment. Taking your children to art museums is fantastic! I love taking my girls to art museums, too. Last time we went to Boston’s Museum of Fine Arts I brought sketch pads and colored pencils with us. I sat the girls down in front of Claude Monet’s Lily Pads and had them sketch what they saw. It was a favorite “mommy moment” of mine! What you’ve shared is so inspiring! I like how you’ve decorated the kitchen table. My almost 3 yo son enjoys art and craft activities, I’ll visit your blog for more ideas! Thanks Ruth! My girls absolutely love when I have the kitchen table decorated for our art projects. Every single time they walk in on it, the decorations take their breath away – and nothing beats that reaction! I also decorate the kitchen table for other things, like the 100th day of school, or if we are studying something like pumpkins or spiders or specific animals. Kids love the unexpected and love to be surprised!